Inset wood burning stoves are the new way to enjoy a living wood fuelled fire. The flush fitting design and large glass can give the appearance of a window of fire mounted in your wall for a panoramic fire view. Glass fronted insets can be as wide 1.3meters, providing an all-encompassing feeling of warmth and wellbeing. Inset stoves can also be space saving and compact with models as small as 400mm wide that will fit into the smallest existing fireplace opening. Either way the clean, modern, and contemporary looks of today’s efficient inset stoves can transform your lounge into a real design statement for the perfect open fire sensation. 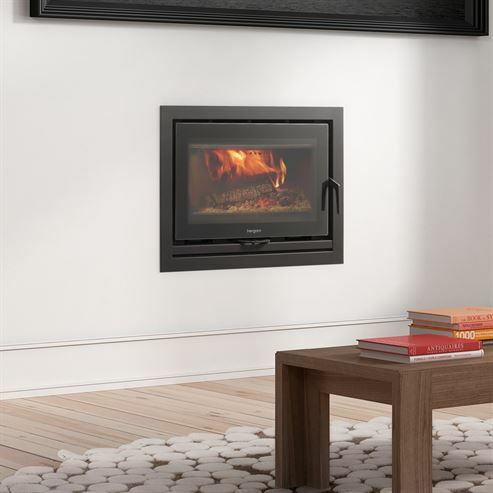 Eurostove have one of largest ranges of insets stoves from the leading European manufacturers so take a look at Jide’s designer and bespoke inset range, Hergom's classic insets, Westfire's quality Danish designed insets and the new Christon range from Mendip Stoves.